Nearly all businesses co-operated and improved their site management. This is a very important achievement given that voluntary compliance is Council’s primary objective. 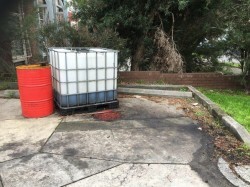 The City of Greater Dandenong (CGD) recently delivered a program specifically targeting source polluters from the industrial areas within the Municipality. This project resulted from a stormwater wetland monitoring study undertaken by Melbourne Water, the EPA and the Centre for Aquatic Pollution Investigation and Management (CAPIM). A number of hazardous pollutants were detected at significantly higher levels than expected in wetlands receiving runoff from industrial areas. These results highlighted the need for a detailed monitoring program to identify sources of upstream pollution. Funding from Melbourne Water’s Living Rivers Program enabled Council to conduct monitoring in stormwater drains within two distinct industrial planning zone areas, IN1Z & IN2Z (refer to Table for zone descriptors) to identify source polluters and engage with relevant premises. Council officers worked closely with and received training from CAPIM on the installation, retrieval, and interpretation of results from passive (activated carbon pad) samplers. Over an 18 month period, 750 samplers were deployed and analysed across target industrial areas to identify business clusters and premises with non-compliant site practices. Evidence to date indicates that the lighter industrial IN1Z estates comprising smaller “less offensive” business operations generally produced higher levels of pollutant discharge (hydrocarbons, lead and zinc etc.) than were found in the IN2Z zones, where larger business operations are subject to stricter planning permit conditions and auditing of industry practices. Ongoing monitoring has provided Council’s planning and compliance teams with the evidence base to proactively engage target businesses, informing them of pollution issues and the need for improved management practices, rather than being forced into a reactive compliance response to pollution events. This enabled a more efficient use of the compliance team’s limited resources. identifying and evaluating opportunities to embed this approach into Council’s stormwater management processes. Increasing awareness and uptake of best practice investigation tools and other opportunities available to Council staff tasked with the general enforcement of the Greater Dandenong Planning Scheme’s amenity provisions. Council has found areas with primarily small business operators (i.e. less than 5 employees) returned the highest pollution readings. Engagement showed pollution generally resulted from poor site management (including a failure to properly maintain and/or upgrade plant and equipment) as opposed to deliberate actions. Businesses within the Industrial 2 Zone which have been the subject of discharge testing through this program were usually found to have good site management practices. Indeed, larger companies have access to greater resources and therefore have an increased ability to demonstrate a higher level of corporate responsibility. 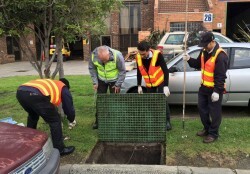 Post engagement monitoring demonstrated an improvement in stormwater quality. The increased presence of compliance officers in the field, the dissemination of information through letterbox drops and the face- to-face engagement have achieved a better understanding of Council’s role in environmental management and the responsibilities businesses have in regard to complying with land use regulations. Communication channels between Council and industry are more open with businesses seeking advice, information and links with external agencies. Support from engaged businesses has also been demonstrated through a willingness of local businesses supportive of the program to report polluters. Despite isolated incidences of initial resistance (focussed on site management costs), there has been no negative feedback from any premises visited, and nearly all businesses co-operated and improved their site management. 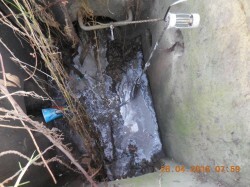 Only one prosecution was undertaken due to failure of the operator to improve site environmental management practices. This is a very important achievement given that voluntary compliance is Council’s primary objective. Where a proposed land use triggers planning approval requirements, the findings from this project are being used to strengthen current permit conditions around amenity, stormwater management and sediment control. This has included the need to review ‘as-of-right’ use controls, as the majority of the polluters identified within the IN1Z do not require planning approval for land use. This has been identified as a shortfall of relevant controls. 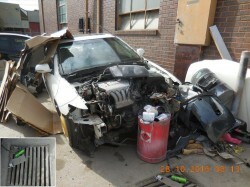 The evidence based approach employed strengthens Council’s position in relation to any breach of permit conditions (e.g. in relation to applications/appeals to VCAT). Engagement with Council’s statutory planners through field based mentoring/ demonstrations which have seen them embrace a more rigorous permit approval regime. The project was able to get the support of Council’s executive team and Councillors. As a result of this program, Council is now looking at opportunities to build on the use of new technology for monitoring, such as the use of real time sampling through perimeter monitoring devices and drones. Ensure you have champions on board to kick start your project! Initiating development of the project relied on key Council champions willing to dedicate extra time and effort to develop a scope of works that would gain buy-in and support from across relevant Council teams and executive / senior management. To get senior buy-in, it was critical to articulate how the project could lead to improved industrial business practices whilst also adding value to Council’s planning, engagement and compliance measures in a cost effective manner. A joint partnership approach was a critical catalyst to access the required seed funding whilst also raising the profile of the project within Council and across partner organisations. Active engagement with industry / individual business supported through targeted empirical monitoring and appropriate planning controls can lead to improved business practices. Meaningful engagement approaches across Council (such as a mentoring program between the compliance and statutory teams) have proved successful towards developing process improvements in planning approvals. It is important to keep up compliance monitoring, as it would be expected that, in the absence of an ongoing focus on stormwater source polluters, businesses site management practices will deteriorate, resulting in a reduction in stormwater quality.